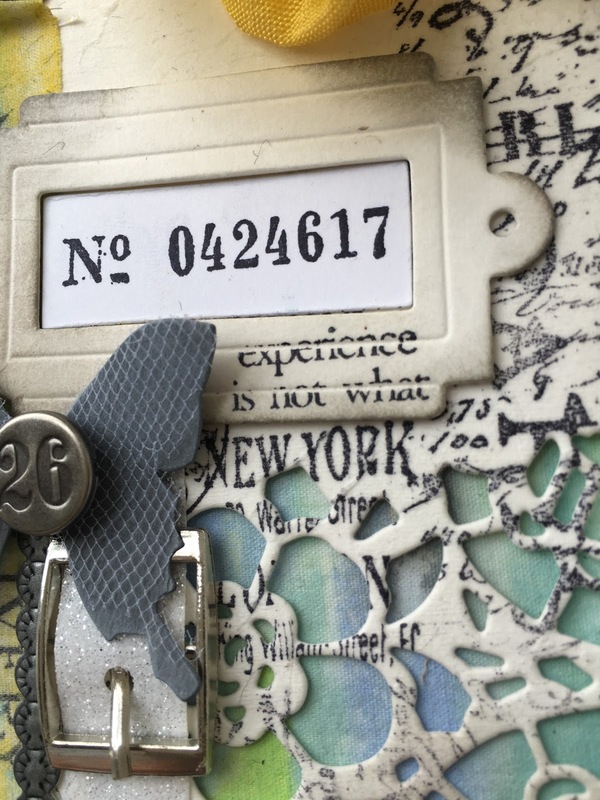 Jeg prøver for første gang at deltage i Tim Holtz's måneds udfordring med et tag. Man skal bruge hans anviste teknikker og det var rigtigt sjov at prøve noget nyt. 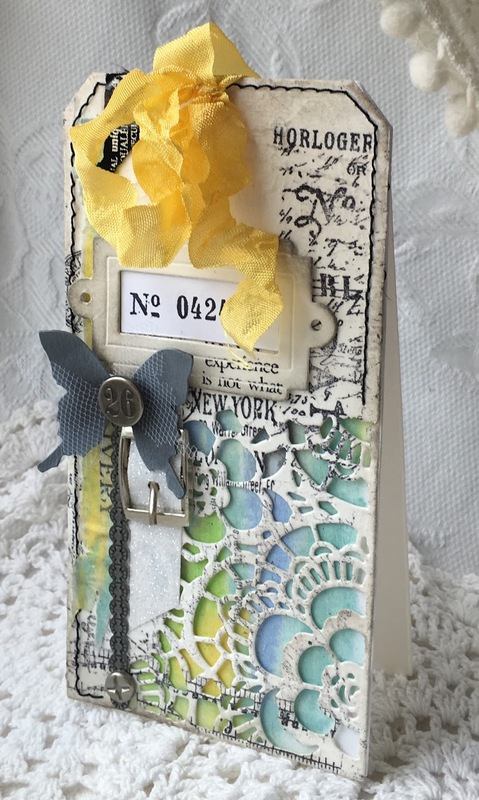 Gorgeous tag Gitte, the colours and whole design of this is absolutely gorgeous! Congrats on your win! I LOVE that die and the gorgeous tones behind! Great take! This is AMAZING!!! 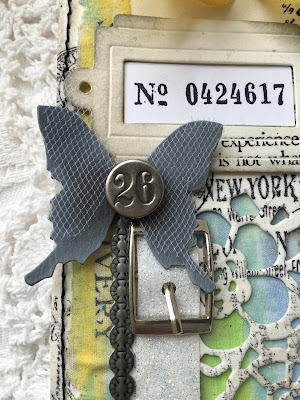 The fold over design is so fabulous and your balance of color and neutrals are so inspiring. 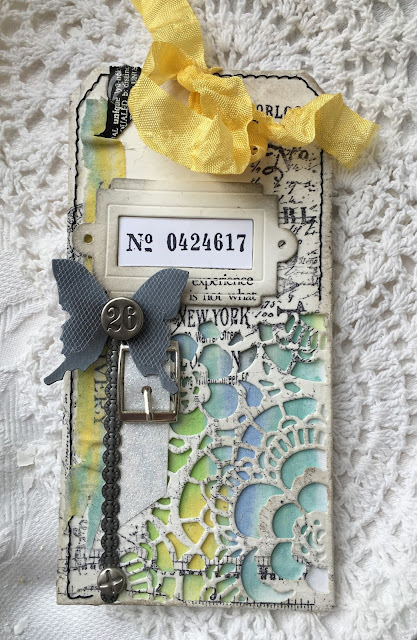 I love this tag to pieces, it may be my fav this month! Biggest congrats on your win! Well deserved, dear! Wait a minute, Autumn, I thought mine was your favorite! Ha! Ha! A true work of art if I ever saw one! 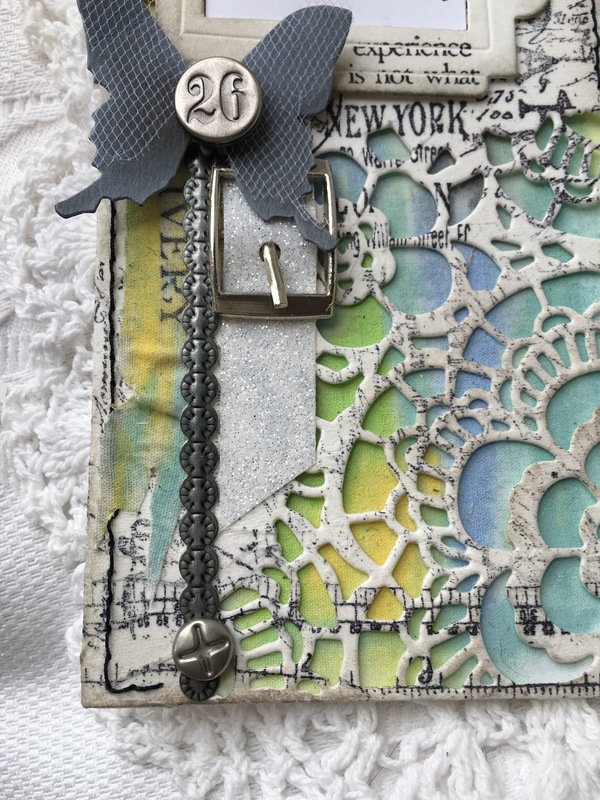 Love your tag to bits--so many beautiful details! Well done and huge congratulations on your win! First time's a charm, but I think we will see you in the winner's circle quite often! Hugs! PS Latest follower. Your tag is my favorite of all the entries this month. So creative and just beautiful. I love your tag. Such beautiful colors and lovely design. Congratulations on your win at Tim's blog. Congratulations! I love all the details you have chosen. And, I swoon when white lace is involved! It's really beautiful!